Are you a busy professional trying to maintain some work/life balance? Is it a struggle to keep in shape, relieve stress, and exercise in a way that is enjoyable? Are the workouts you used to do getting harder, more boring, or putting strain on your knees, your hips, or your entire body? I experienced all of the above. And then one day, I started riding a mountain bike. There are lots of reasons to take up this fun and challenging sport. Since you’re here, let’s assume you’re aware of the many benefits it offers and have decided to give it a go. The first step is to figure out what and where you’re going to ride. There are lots of options here, including trail riding, commuting, “bike packing” or even bike racing. The more you know about how and where you’ll be riding, the easier it will be to find the best bike for you. Mountain Bikes are a wide-ranging and versatile class of bikes, that all have one thing in common—knobby tires for off road riding. 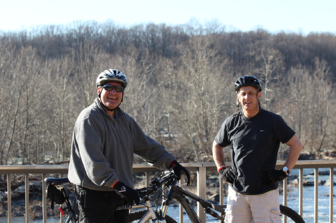 You can ride a mountain bike on paved trails, canal paths, fire roads, hiking trails and up and down ski hills. Mountain bike specific trails are being built in record numbers all across the country. If you don’t know of any mountain biking trails, you can easily download the MTB Project app on your phone and search for trails in your area. Although you can buy bikes online, it’s best to start at a local bike shop for one of the major mountain bike manufacturers such as Trek, Specialized, Scott, Giant or Cannondale. These folks will be the most helpful and professional in helping you select a suitable bike that fits you correctly. Many stores also offer “demo days” throughout the year, allowing you to take a bike out and ride it on the trails before you buy. Even better, as soon as you set foot in the shop, you’ll find that staff and fellow shoppers will be full of suggestions on where and what to ride. All you have to do is soak it in. They may even offer to take you out and show you the ropes! Mountain Bikes are men and women specific and have evolved dramatically over the last five years. Today, bike shops are full of rugged, technically advanced bikes made for really difficult trails, making it easy to “over buy” a bike that is made for things you may never to do. You’re better off starting with an entry level bike and working your way up to more advanced models as your skills progress. As a start, I would highly recommend a versatile and light weight cross country bike with 27.5” or 29” wheels, depending upon your height. These bikes typically have about four inches of front and rear suspension to absorb bumps, which makes for a very capable bike for the majority of on or off road riding. You’ll want to spend enough money on your bike to make sure you get hydraulic disc brakes for one finger stopping power. Once you have your bike, try to avoid the trial and error method of learning to be a competent mountain biker. A good bike shop can get you started on the best fit, tire pressure, pedals, shifting and riding techniques. You can also find excellent training videos online on YouTube and, for readers, the bible for Mountain Biking is Mastering Mountain Bike Skills by Brian Lopes. The absolute fastest way to learn is with a competent, helpful and experienced friend to teach you techniques, fun and safety.If you don’t know anyone who rides, simply show up at any local trail head at 8:30 any Saturday morning, and you will find plenty of enthusiastic bikers willing to help you and ride with you. Weekend riding can also become a fantastic social and professional networking opportunity that mountain bikers like to call the “new golf.” To fit in with the weekend crew, be sure to wear the mountain biking “uniform” which consists of baggy shorts and a t-shirt. It is also important to have padded bike shorts (under the baggys), full fingered bike gloves, and glasses for eye protection. And don’t leave the bike store without helmet! Mountain biking is a snow, rain or shine year around sport. If you’re worried about biking in the winter, think about what you’d wear to go skiing. Ski goggles, winter bike gloves, biking boots, and Gortex-type bike wear is all that’s needed. Once you’ve tried it, the absolute quiet of winter riding is exhilarating. If you’re a Type A personality, who just has to go fast and find someone to compete with, then mountain bike racing or group rides may be for you. 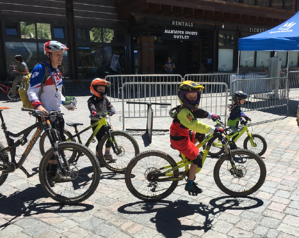 MTB Race Events run year around for all age groups and skill levels, and many events are family friendly. You may have thought your days of training and practicing for a sport, racing your kids, or competing at a high level were over. Not true! 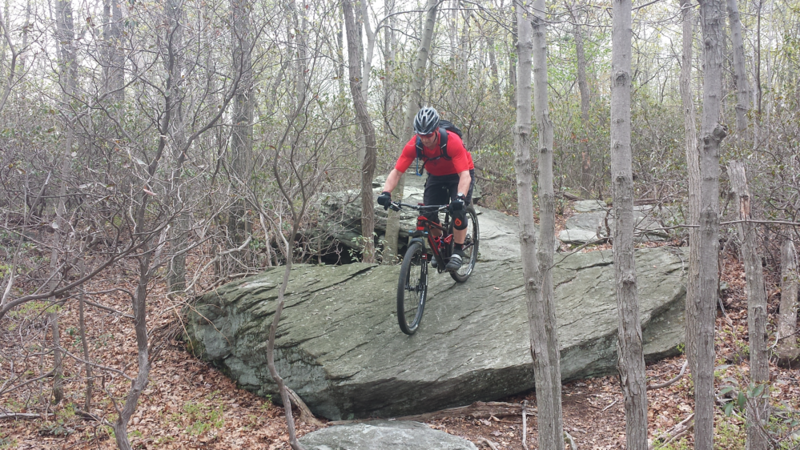 You can rekindle your inner college athlete on a mountain bike. 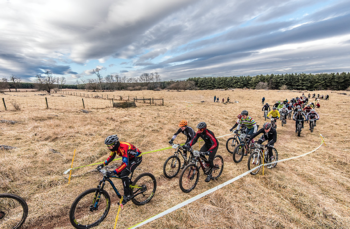 There are all types of events including cross country racing, cyclocross, endurance races, and downhill racing. Even if you start riding later in life, there are events and competition for you, all the way to age 80 and beyond. 1.) Make sure to get a physical exam, including an EKG before doing anything extremely strenuous like racing or mountain climbing on your bike. 2.) Never, ever ride any bike, any place, without wearing a helmet. In other words, have fun and stay safe. Written by Steve Heger, President, Raffa Financial Services, Inc.
An avid Mountain Bike racer and enthusiast, Steve races both Mountain Bikes and Cyclocross as a Masters Division, CAT 1 (expert) rider, year around. He has made the podium over 25 times, with 15 wins. He is a five-time participant in the USA Cycling National Championships, winning two Silver Medals. For more information on the many benefits of mountain biking for busy professionals, read Executive Fitness: Try Mountain Biking! Previous: Have you met our friends at Attache? Let us introduce you!